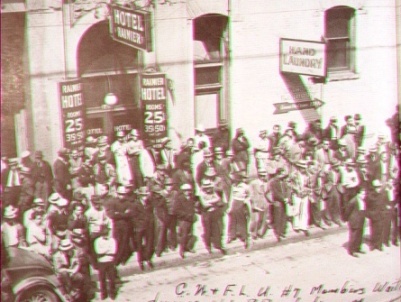 This is a sample of historical photographs available here. Links below lead to photo collections, primary source documents, digitized newspaper articles, links to related materials, and more. Fish processing and canning have been key West Coast industries since the middle of the 19th Century. Canned salmon and sardines helped feed the miners of the California gold rush and soon were feeding consumers around the world. 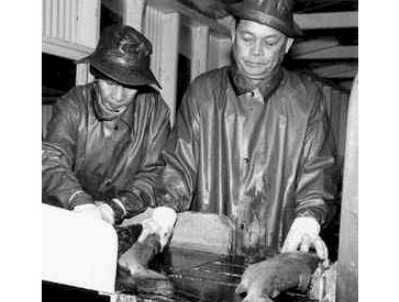 Native people, who had practiced the techniques of drying fish for millennia, were some of the first workers hired to work in the canneries that were established in major fishing areas from Monterrey Bay in the South to Puget Sound and the Gulf of Alaska in the North. Seasonal work--cold, wet, dirty, and dangerous at low wages--these were the standards of the canning industry and it soon also became standard that only immigrant workers would take these jobs. 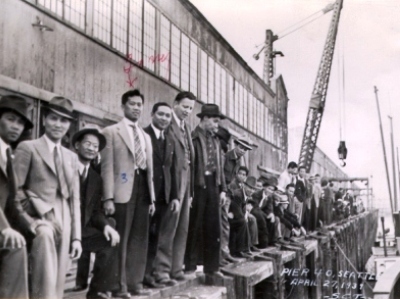 Some were from Europe, especially Italy, Portugal, and Norway, but in the Northwest cannery work was mostly done by Asians, first Chinese, then Japanese, and increasingly after 1920, Filipinos. 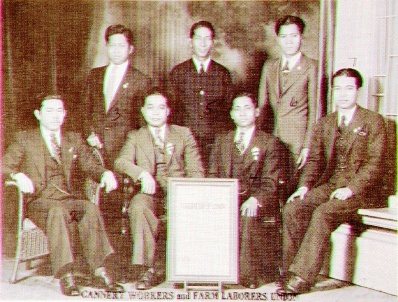 The first enduring attempts to unionize the industry began in the 1930s and were led by Filipino workers. 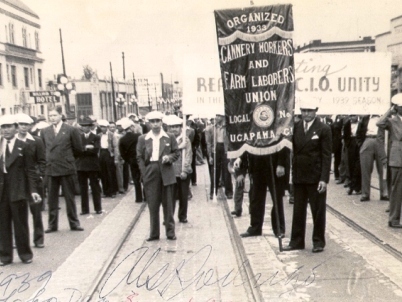 The Cannery Worker's and Farm Laborer's Union was launched in the 1933 and in the next few years succeeded in organizing much of the work force, despite an assassination plot took the lives of its founding president and secretary. 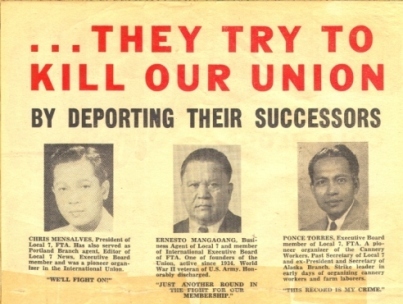 The cannery workers union has changed names and affiliations over the years since then, and has weathered serious internal and external difficulties, including, in the 1950s, government attempts to break the union and deport its leftist leaders. 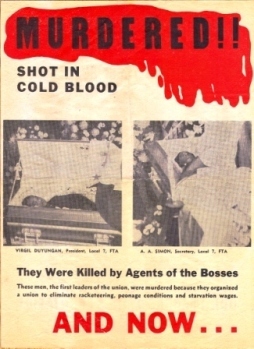 In 1981 another set of assassinations took the lives of union reformers Silme Domingo and Gene Viernes, victims, it was later proved, of a plot that involved Philippine dictator Ferdinand Marcos. But across three turbulent generations the union has survived. 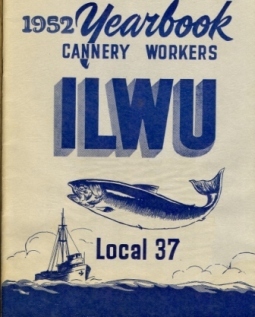 Today it is Region 37 of the Inland Boatman's Union (IBU-ILWU). 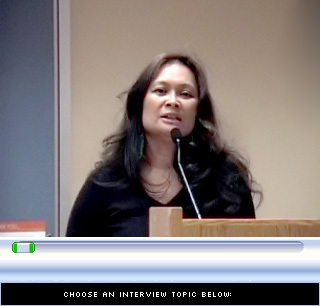 Cindy Domingo is one of the narrators in our video oral history page. Active in the Alaska Cannery Workers and the Union of Democratic Filipinos (KDP), she is the sister of martyred local 37 leader Silme Domingo. 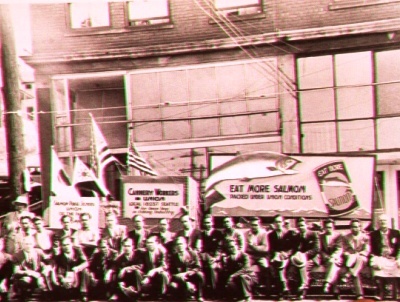 This special section explores the history of the cannery union activism and the Seattle Filipino-American community. 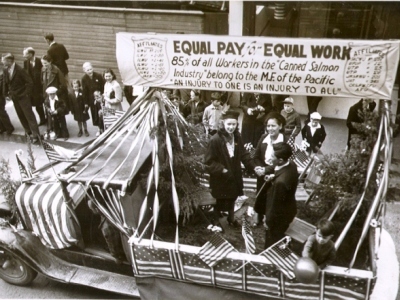 The links above and below include video oral histories with activists of two different generations, research essays that detail the history of the union, and several collection of rare photographs, documents, and digitize newspapers. We are grateful to Fred and Dorothy Cordova, Filipino American National Historical Society (FANHS), Cindy Domingo, and other donors for permission to display these materials. 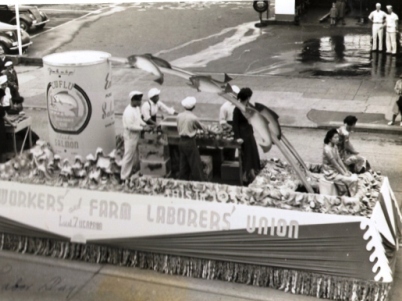 "The Cannery Worker's and Farm Laborer's Union 1933-1939"
Video Oral Histories: short biographies and streaming video excerpts of interviews with David Della, Cindy Domingo, Lynn Domingo, Michael Woo, Frank Irigon, and Velma Veloria. 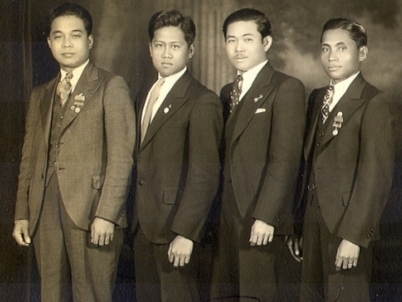 Documents and Newspapers: We have digitized copies of documents and publications including the 1952 Local 37 Yearbook, a collector's item edited by the renowned Filipino American writer, Carlos Bulosan.